b. The Cross Square Gardeners’ Market at the Pembrokeshire Friends of Prostate Cymru stand. 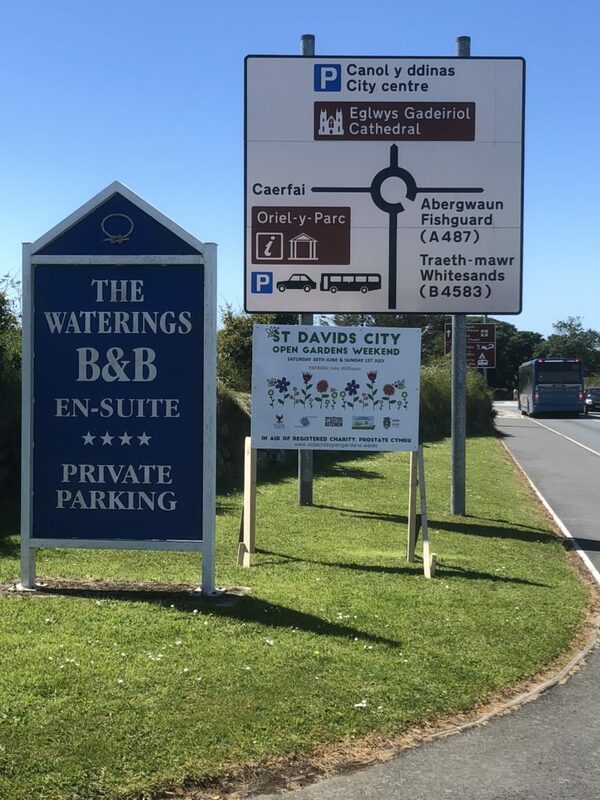 Venue –St Davids Wellbeing Centre, Nun Street. Tickets available on the door. All proceeds to Prostate Cymru. 7.00pm Terry Walton & Lynne Allbutt. Venue – Tabernacle Chapel, Goat Street. Tickets available from The Pembrokeshire Friends of Prostate Cymru Stand in the Gardeners’ Market and at the door. There will be coffee and biscuits, tea and cakes, prosecco, and other refreshments for sale in some gardens. In others there will be artwork, ceramics and natural hand-made soaps and plants to purchase. The Gardeners’ Market in Cross Square. The Cathedral will be open for visitors to see the flower displays on both days and visit to Cloister Garden. Parking is available at Oriel y Parc, Merivale and Quickwell Hill Car Parks. If you feel inspired by any of our gardens and plants then don’t forget to visit Bernie at our own St Davids’ Plant and Garden Nursery at the top of the High Street, near to Oriel Y Parc. 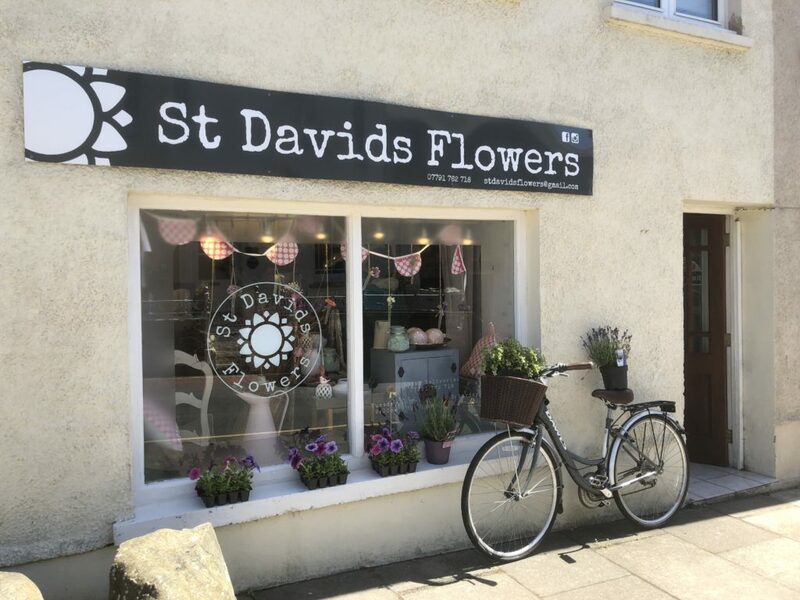 If you prefer to have your flowers cut for a special occasion then visit Clare at St Davids Flowers at the far end of Nun Street.